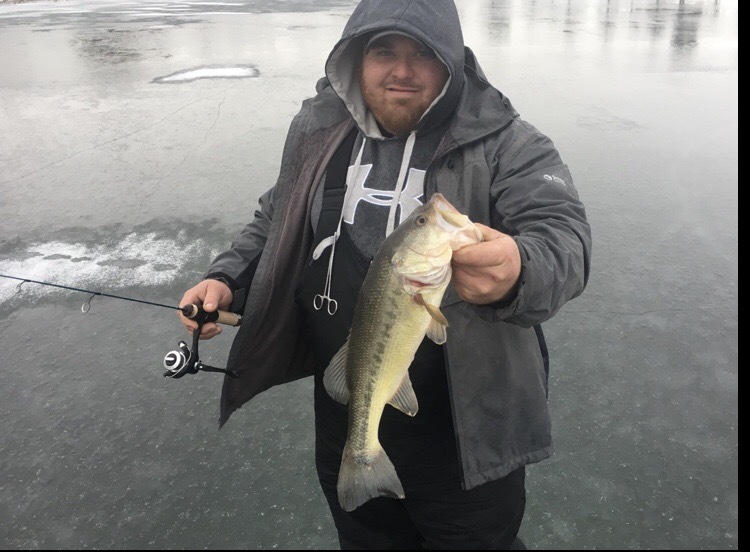 My second ice fishing trip this year was at a farm pond. We didn’t find any monster Gil’s but caught a few big enough to eat. My buddy Riley had big fish of the day with this bass. The fish were holding tight to the bottom. 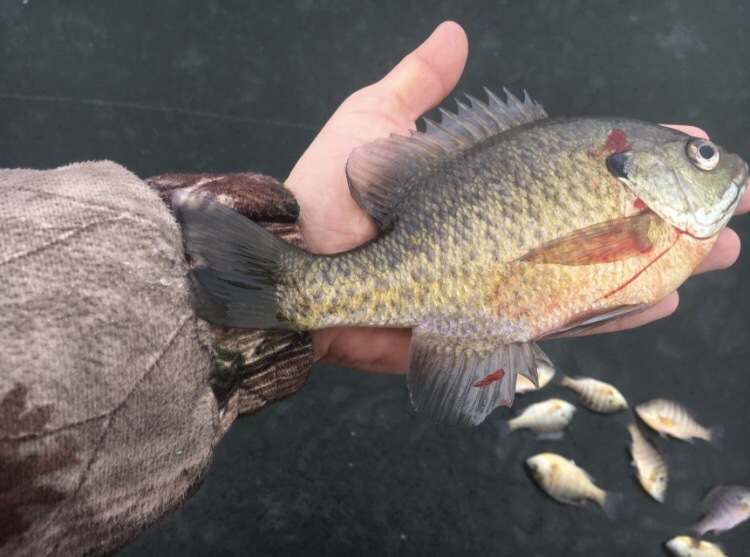 Most of the fish were caught on the drop after lifting just one or two inches off the bottom.